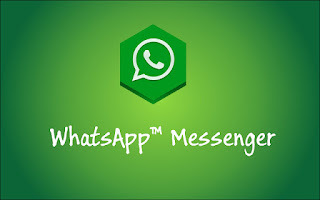 WhatsApp has one billion users. That's how many active accounts it had last month, at least according to the Facebook subsidiary -- an instant-messaging service for young persons (or so I'm told). It won't surprise you to know that Jan Koum, the Ukrainian-born CEO, is overjoyed. I dare say Mark Zuckerberg is also fairly happy. Facebook-owned WhatsApp [now has] more than 1 billion monthly active users. [And] the messaging app isn't slowing down anytime soon. WhatsApp is such a go-to...thanks to its ease of use to send messages to anyone in the world. The bare-bones messaging app...now boasts a billion users a month, a key point on its road to profitability. Facebook bought WhatsApp about two years ago in a deal worth about $22 billion. ... WhatsApp’s co-founder Jan Koum remains averse to advertising. ... But last month, Mr. Koum said that the company was starting to explore new business models. It stayed put in Mountain View...rather than move to Facebook’s sprawling Menlo Park...headquarters. WhatsApp’s team of 57 engineers is focused on building an app that can adapt to the worst network conditions. WhatsApp began as a simple idea: ensuring that anyone could stay in touch with family and friends anywhere...without costs or gimmicks. ... Every day, our team continues to work to improve WhatsApp's speed, reliability, security and simplicity. We still have another 6 billion people...a long way left to go. "1 billion active monthly users"
Google CEO Sundar Pichai mentioned that Gmail has joined a list of 6 other Google services that now have more than 1 billion active monthly users. While Gmail and WhatsApp may now have more than 1 billion active monthly users, both apps have long since passed the 1 billion install mark on the Google Play Store.